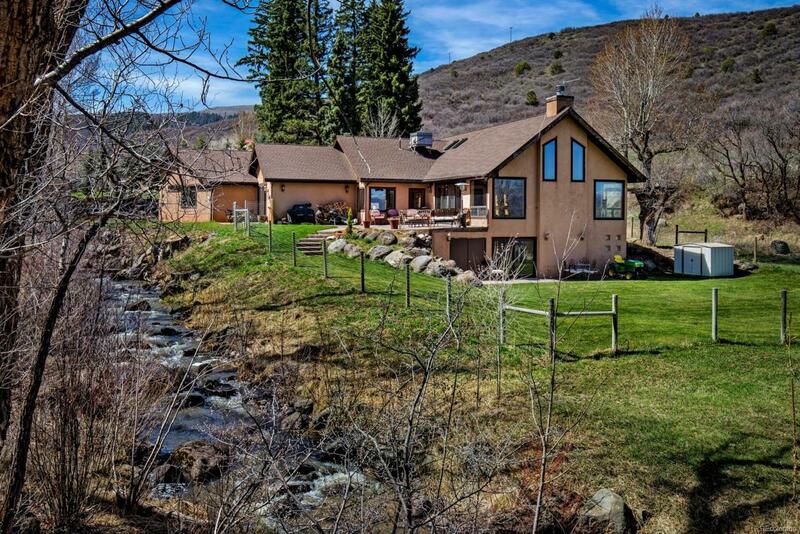 Enjoy private mountain living on 15.8 acres on one of few pieces of land for sale on upper Four Mile Road near Sunlight Ski Resort. This custom three bedroom three and a half bath ranch style home with a walk-out lower level was built to take full advantage of the natural surroundings and creek side living. Inside you will find an easy flowing, open concept with creative custom touches and stone and wood accents. A spacious main level master features a small study with outside access, gas fireplace and an expansive wall of windows inviting the outside in. The quaint 1+ bedroom, 1 bath cabin is a perfect retreat for guests, a caretaker or an art studio. Outside you will find upper and lower concrete patios perfect for entertaining or sipping your morning coffee while you take in the scenery. Enjoy the hiking, biking and ATV trails on the property as well as Four Mile Creek, as it meanders through the property.